When picturing the ideal police dog, breeds like the German Shepherd, Belgian Malinois, Labrador Retriever, and even the Rottweiler probably come to mind; these dog breeds are known for their intelligence as much as they are for their stopping power. That is precisely why Japan’s newest police dog is a surprising, unconventional choice: a Toy Poodle. Mochi, the 4-year-old dog, may be mini in stature, weighing less than four pounds, but he’s definitely not mini in skill. After a six-month training regiment, Mochi passed the Japanese police dog exam with flying colors. He will join the police department in Kyoto Prefecture as a detection dog, where he will help officers locate explosives, drug paraphernalia, and disaster survivors. 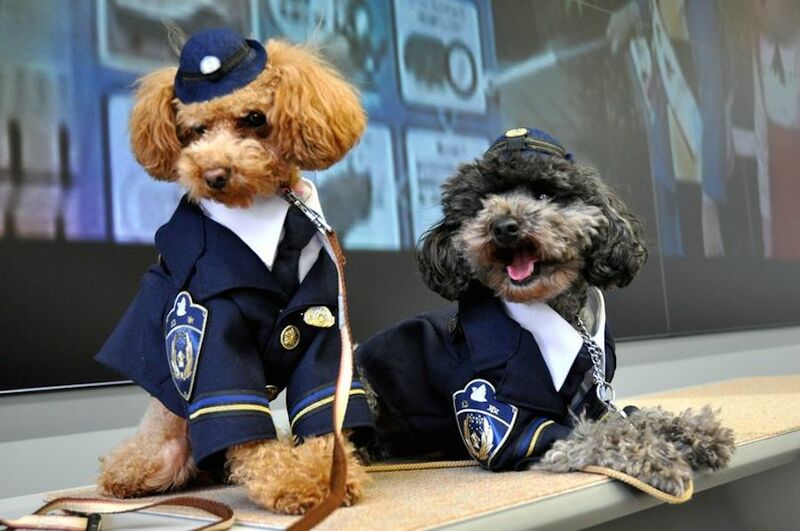 Little Mochi is the third Toy Poodle to join the ranks as a police dog; last November,Poodles Karin and Fuga were enlisted as search and rescue dogs in the Tottori Prefecture. A long-haired Chihuahua named Momo captured headlines worldwide in 2010 when she excelled during the Nara Prefecture police search and rescue test, beating out 40 other dogs. The Japanese police also employ Kuu, a Miniature Schnauzer, and Futaba, the first Shiba Inu to serve as a police dog. Small dogs have earned an important role on Japanese police squads. Following thedevastating earthquake and tsunami of 2011, Japanese search and rescue personnel discovered that small breed dogs were useful in finding survivors. The small dog breeds could squeeze into tight spaces that larger dogs could not.